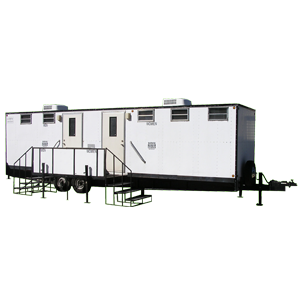 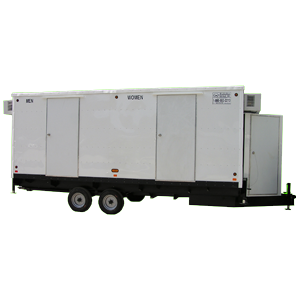 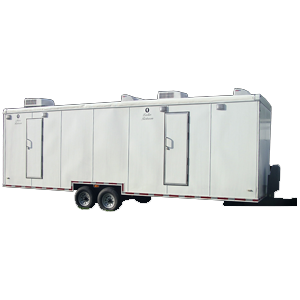 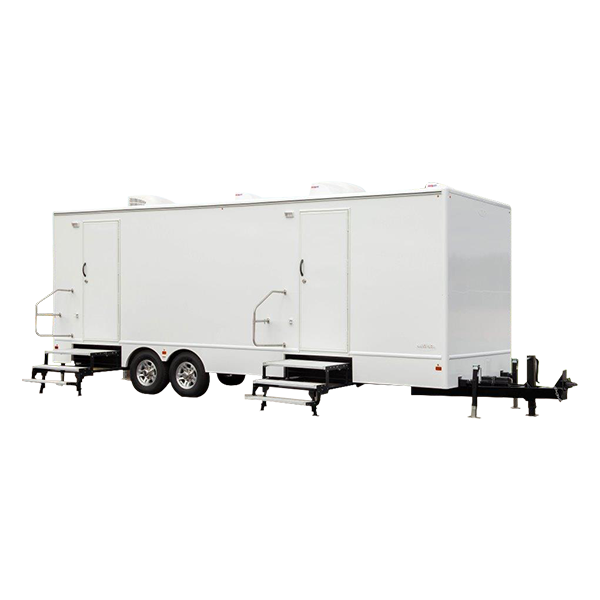 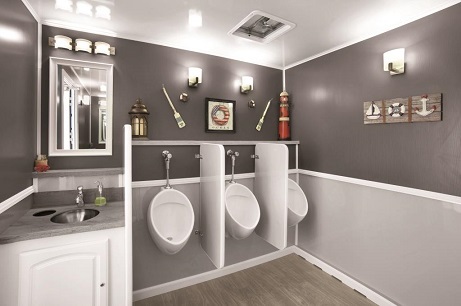 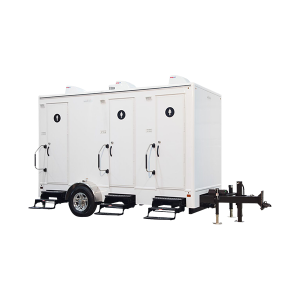 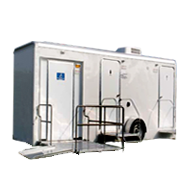 10-stall Luxury Restroom Trailer – 29′ | Anderson Rentals, Inc. 10-stall Luxury Restroom Trailer – 29′ – Anderson Rentals, Inc.
For midsized events, the 10-stall luxury restroom trailer provides an affordable solution to your restroom needs. 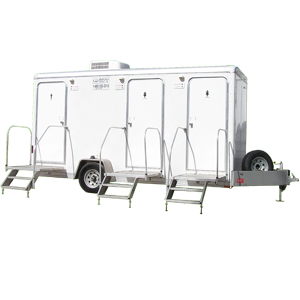 This restroom trailer comes with five stalls and two sinks for women as well as two standard men’s stall and sinks and three urinals. 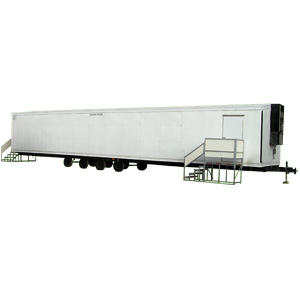 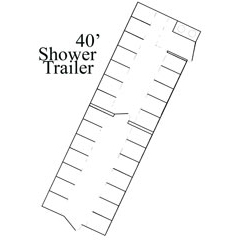 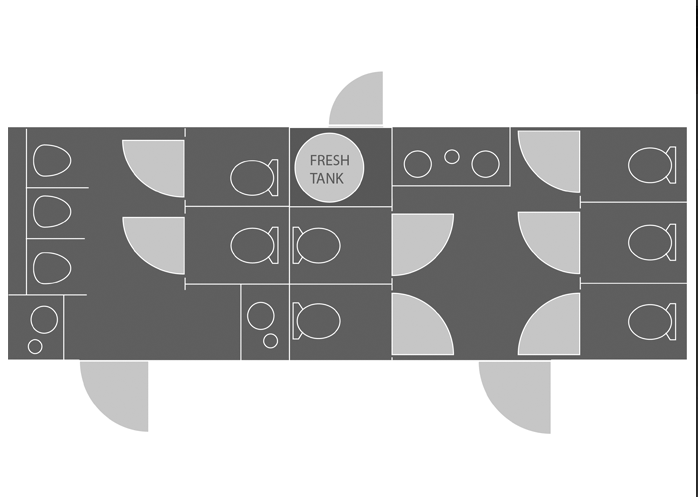 This 10-stall trailer comes equipped with A/C and heat, hot and cold running water (non-potable), and the option to be self-contained for short rental periods or connection to a water garden supply hose. 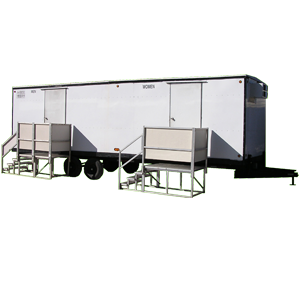 Note: As it is not safe to transport this trailer with the onboard fresh water tank filled, we look to the customer to provide a water source somewhere near the setup location. 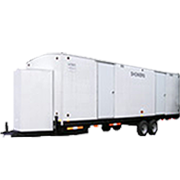 Certificate of Insurance required for liability and damages.